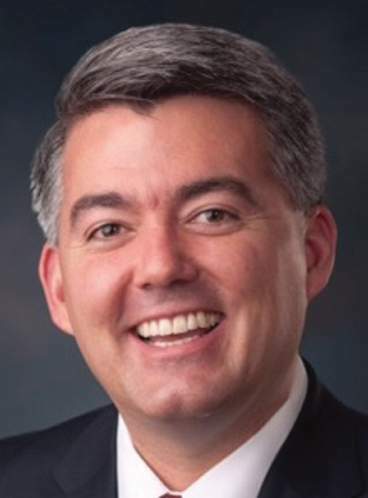 Sen. Cory Gardner hopes to pass an act he introduced last month that would allow employers to make tax-free contributions to their employees’ student-loan debts. Gardner said employers would be able contribute up to $10,000 per year toward each employee’s student loan debt. “What’s happening is young people are getting out of college and they’re not saving for retirement, they’re not buying a home, they’re struggling to start a family because they have this heavy student-loan debt, so that means that everything gets pushed off later and later and that’s not good for retirement, for families, for buying a home,” Gardner said in an interview with The Durango Herald. The senator told the Colorado Sun in October that he has less than $50,000 in student debt remaining from a degree he earned at University of Colorado Law School in 2001. In an Oct. 15 statement, Gardner cited the National Association of Realtors saying that about 45 million Americans have student loans to repay, with the average around $30,000. Gardner said the idea is similar to the way some companies fund 401(k) retirement savings plans, which he hopes more graduates will start to build up as their loans are paid off. He said the bill gives employers “flexibility” to decide whether they will match the student debt payments of their workers, and at what percentage, or pay the debt without employee contribution. Gardner said constituents have told him that the job market in Colorado is competitive and the benefit from a bill such as this would make businesses more attractive to employees. “I think it’s a great incentive for employers to attract employees; it’s certainly going to help employees out that have that heavy student-debt load,” Gardner said. Gardner said students at Fort Lewis College in Durango can have some of their loans paid off by employers with the new bill. Lauren Savage, a media relations coordinator at FLC, said that while the school is one of the most affordable public colleges in Colorado, some students would certainly benefit from the legislation. “I think if there is any help on the other end (from employers) for students to receive repayment programs, that’s of course something that is beneficial for any student, Fort Lewis College or not,” Savage said. FLC had an average student debt of $20,988 in 2017, according to the Institute for College Access and Success’ Project on Student Debt, which places it as second among public, four-year institutions with the lowest average debt in Colorado. Savage said the bill will be beneficial to all students, but that students should consider affordability at institutions with or without the legislation. Gardner said the bill will not only help students pay off their debt but be a boost to the economy since the $10,000 will be going into retirement, houses, bills and more. Gardner also said the bill will cover graduates who are self-employed, and they would be exempt from income tax when making contributions to their loan payments.